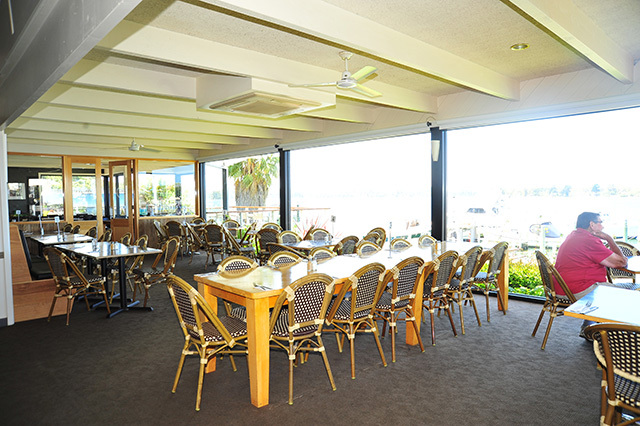 The Metung Hotel has the perfect spot for a wedding or any special occasion. With location being such an attraction, we can provide the most picturesque wedding. With the water and jetty at your disposals, you are only limited by your imagination. Please contact David Archibald via email for more information. We also now have a private function room that can accommodate up to 40 people. This can be used for special lunches and dinners, christmas parties or any event you wish. If you wish to book this room, please contact the pub on (03) 5156 2206. From Melbourne, take the Bairnsdale – Lakes Entrance route along the Princess Highway to Swan Reach.